"Fast and efficient turnaround is what drives our process for the Film and Television Industry." Everything from machining MDF set panels to thermo form tools to replicating full size space ships ... Just ask us. Our core business is creating complex CNC cut shapes and surfaces for your Construction Department. Handcrafted work is still done here! Our craftsmen can preassemble and deliver completed work to your Paint Department. We're fully equipped and thrive on challenges. Large wood patterns are what Adanac Pattern was founded on. Our large gantry 5-axis and two 3-axis CNC machines feature 12' x 10' cutting areas. This size advantage allows us to minimize setup times and cut patterns larger than the industry norm. Our expert team has been using both Solidworks and Mastercam software since 2002. Let our experience and knowledge transform your concepts into reality. Our large envelope CNC routers are well suited for multi-axis high speed milling of Styrofoam or Wood and Foam Hybrids. Clients on tight budgets look to Styrofoam Milling for a low cost, less labour intensive alternative to wood. Hybrid models are our specialty. Have a finely detailed job? Get it done right using this durable solution. We make sure all vulnerable styrofoam edges are capped with wood to protect against wear and tear. The CNC Hot Wire machine efficiently creates ready to use custom foam shapes and can be used as a pre-milling stock removal method. Our rotary 4th axis is ideal for revolves and complex shapes. Adanac Pattern's fully equipped woodworking shop includes pre-stocked laminated MDF slabs and a wide variety of acclimatized materials for our clients convenience and tight turnaround times. Adanac Pattern Shop has been part of British Columbia's story since 1959 when we began delivering large scale foundry patterns to the giants of West Coast industry. Our work can be found in the bridges, tunnels and mines across the countryside. Today we're helping to build B.C. 's new economy by providing our services to the Film, High Tech, and Clean Energy industries. 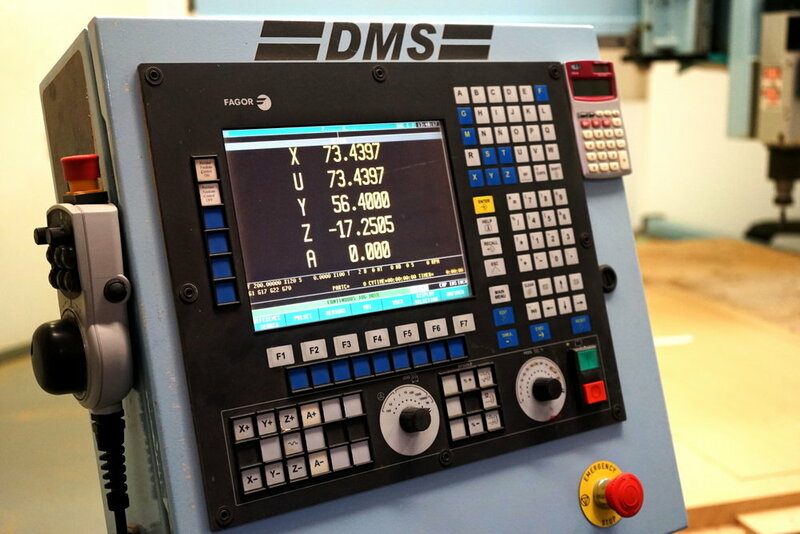 Our modern 10,000 square foot shop floor is equipped with multiple CNC machines capable of producing patterns and models of any size or complexity in a variety of materials. Combining state of the art robotics with old school manufacturing techniques we call our process "Precision Pattern Making". We've been mixing Art and Science on a daily basis for over half a century. Please get in touch with us to see how we can help you on your next project.